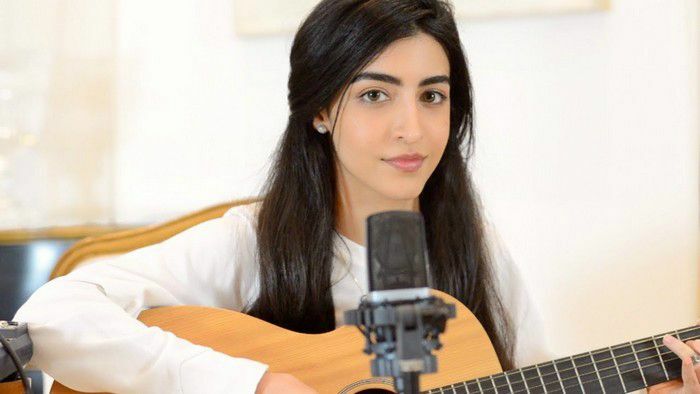 Luciana Zogbi is a singing powerhouse from Sao Paulo, Brazil who showcases her singing talents on her official YouTube channel TempestinWhite. She explored her love for music at a very young age and with the support of her family members, she demonstrated her singing skills by singing in bars and clubs around Sao Paulo. Upon excelling in both singing and songwriting, she began uploading music covers of popular artists to her channel on YouTube. Luciana gained global fame after posting her cover of John Legend’s popular hit single “All of me” to her channel, which quickly went viral and garnered millions of views within months of being uploaded. Her YouTube channel has amassed over 2.1 million subscribers to date. Luciana Zogbi was born on the 27th of October 1994, in Sao Paulo, Brazil. She is currently 24 years old. Despite being a popular internet personality, Luciana remains to stay low when it comes about her family’s background. She hasn’t revealed anything about her parents or siblings, apart from that fact that she’s from Brazilian and has Lebanese roots. Likewise, information about her educational background isn’t known either. She has been singing since she was young and it appears that she took training to play guitar and the piano. Luciana is a very private person and rarely opens her mouth to discuss her love life. She has always maintained silent whenever asked about her boyfriend or her past connections. Despite being acting on social media, there isn’t any clue of a possible boyfriend or relationship neither and we assume that this stunning diva is possibly single. Luciana Zogbi began her professional singing career by performing in local clubs and bars. She took her singing talents to YouTube in 2011 but posted her first video only in 2014. She became a viral sensation with her cover song of John Legend’s iconic single “All of Me” which she uploaded to her YouTube channel in 2014. The video was a massive hit, garnering more than 30 million video views within a few weeks of its release. That’s how her YouTube career started and has since she has uploaded covers of popular artists, including Ed Sheeran’s “Thinking Out Loud”, Sam Smith’s “I’m Not The Only One” as well as Adele’s “Hello”, “The Scientist” by Coldplay and U2’s “Ordinary Love”. Her immense popularity on the social media platforms, in particular, YouTube, on which she has garnered over 2.1 million subscribers. Obviously, she enjoys massive following on social media to which she regularly uploads her music videos and pictures from her everyday life. Zogbi often collaborates with fellow Brazilian musician and producer Gianfranco Casanova. She has covered songs by artists that include Avicii, Sam Smith, James Morrison, U2, and Coldplay. Some of her most popular videos on YouTube are John Legend’s “All of Me”, Ed Sheeran’s “Thinking Out Loud, Sam Smith’s “I’m Not The Only One”, Adele’s “HELLO” and Marshmello & Anne Marie’s “FRIENDS” Mashup. Her works are also available on digital streaming apps like iTunes and many others. Luciana is an avid scuba diver, and also enjoys other extreme sports such as surfing, skydiving and paragliding. She is an extreme dog lover. She used to attend soccer matches with her father during her free time and she is a huge fan of soccer.